Google Assistant will soon be able to act as an interpreter, working as a go-between for natural conversations between initially 27 languages. Think of it as your own personal translator in your pocket. It’s a pretty neat addition to the increasingly useful Google Assistant and will be rolling out over the next few weeks but I got a chance to try it out at CES in Las Vegas this week. You jump into interpretation mode by asking Google, say, “Hey Google, be my French translator.” When I did that, the Google HomeHub smart display at a cafe Google had set up woke up and waited for my first words. “Je voudrais du macaron s’il vous plait,” it interpreted. A minute later I had a chocolate macaroon in my hand, so you can imagine how the rest of the conversation went. The macaroon was as tasty as the interpretation mode was impressive. This stands to be tremendously useful for traveling and meeting people with whom you don’t share a language. In fact, Google has begun testing it in just such situations. It’s already at the concierge desk at three hotels: Caesars Palace in Las Vegas, the Hyatt in San Francisco and Dream Downtown in New York City. The feature will work in the 27 languages already supported by Google Assistant with the language pairs for each interpretation determined by the initial language spoken and the language requested in that command. The feature didn’t work perfectly every time though. During several demonstrations, the system sometimes mistook what was said, and that resulted in an incorrect translation. If you’re a regular user of Google Assistant, you’ll know that it doesn’t always understand what you say. On a device like the Home Hub or a smartphone, that will be immediately obvious to the speaker because they’ll see that Google heard them incorrectly. If using a display-less device like a Google Home, it could lead to some confusion. 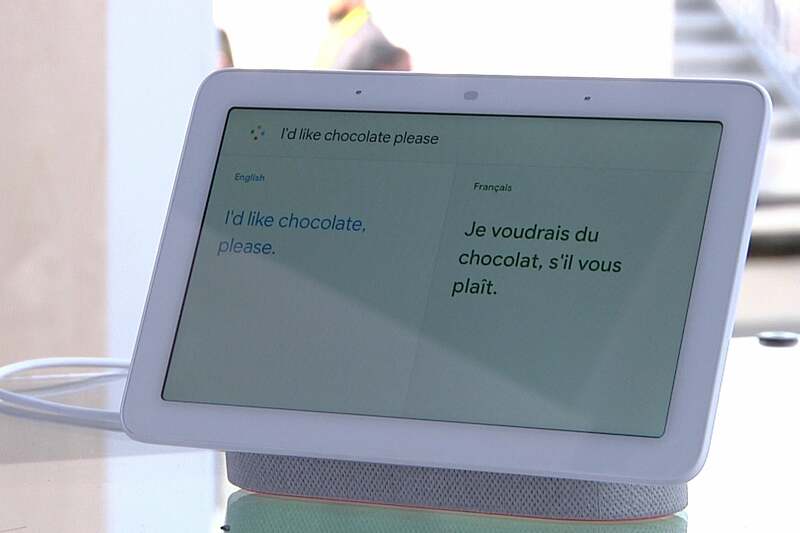 To come up with the function, Google developed a new machine learning model that first detects which language of the two is being spoken, said Behshad Behzadi, an engineer at Google’s Zurich office who who works on the Assistant. Overall, said Behzadi, it makes the process of interpreting two languages much easier. Until now, Google could be used but it wasn’t a smooth experience with users having to define the languages and press a button between each sentence. The new interpreter mode is confined to voice interpretation via Google Assistant. As such it doesn’t replace much of the functionality of Google Translate and the company didn’t position it as a replacement.